As I mentioned before, my definition of “finish” has had to change! This week, I have a finished top! Not surprisingly, I went with a simple set. It finished at about 48 by 60 inches. Here’s a peek at the back. Not for the squeamish, I know! Anyway, that’s one top done and dusted! 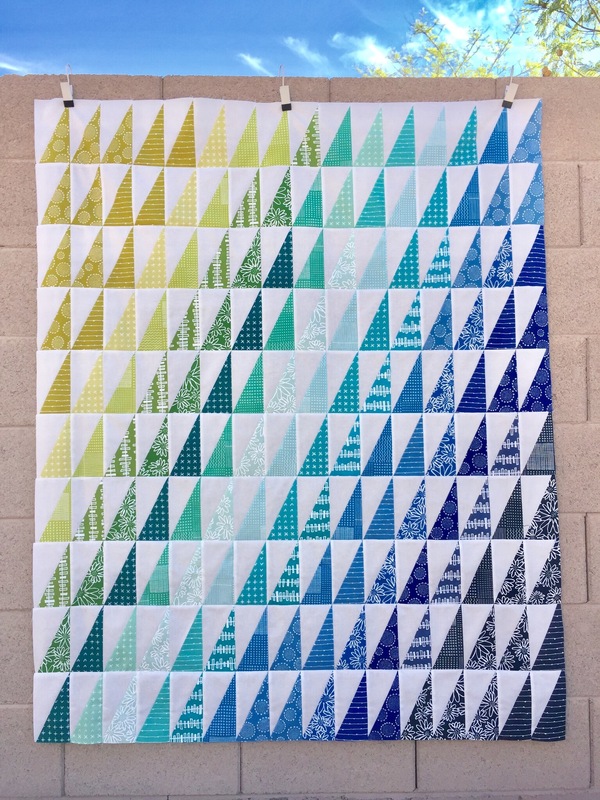 PS: The link up for the Quilters Madder is open over at Humble Quilts. Head on over to link up your finish and to see all the others! 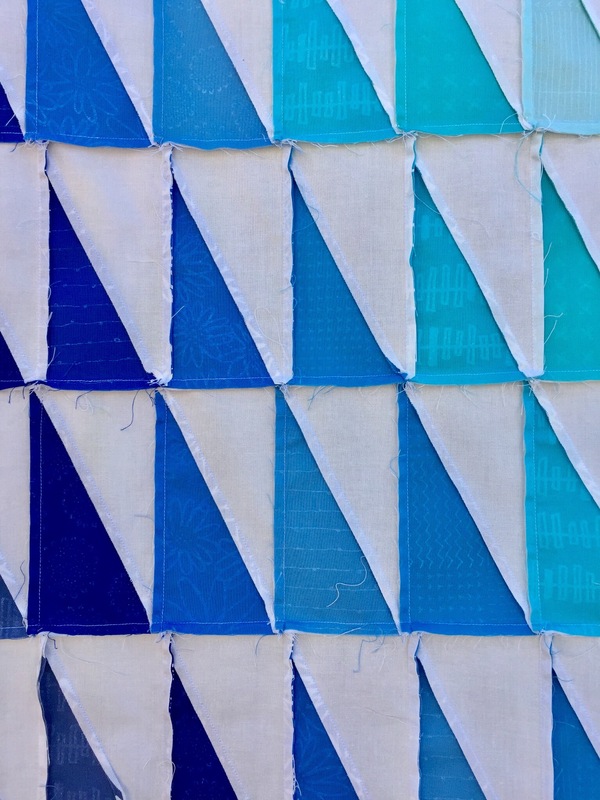 This entry was posted in Finishes, Fresh Modern Quilts, Uncategorized. Bookmark the permalink. 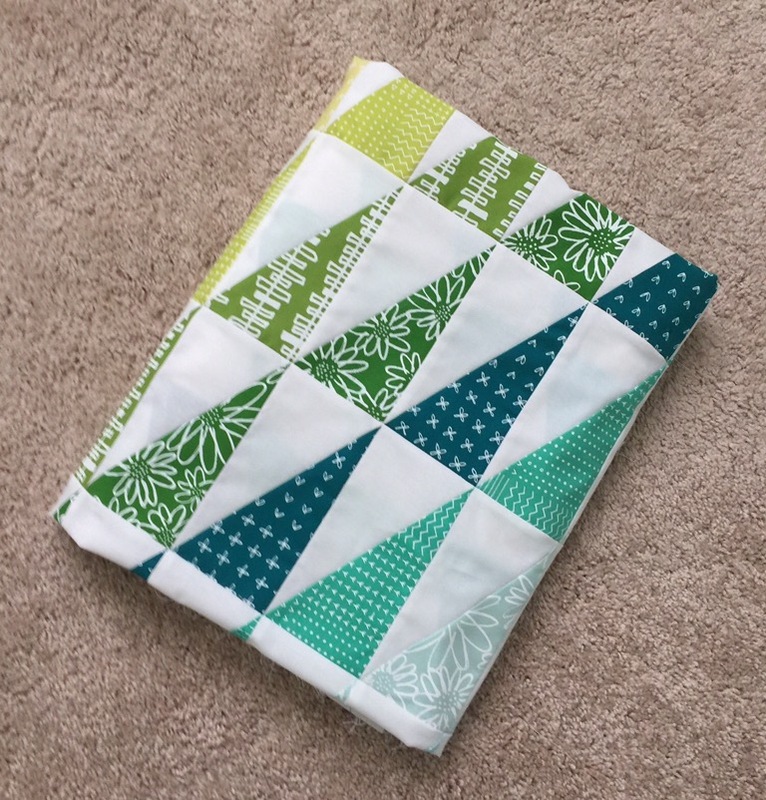 Beautiful — I love the layout gives me an idea of how to use my Blueberry Park Fabric! This one is wonderful Katie. The colors are fabulous! And your piecing is perfect. What a great finish! Beautiful colors and love how the pattern all lines up. A wonderful finish! I too have a layer cake in this range, and have no idea what to do with it! all I can say is: WOW! it’s beautiful! and all from a layer cake, huh? that sure makes a case for a die cutter… I really, really need to look into one of those! ….I was born in the sign of water….. I can hear The Little River Band serenading. It is beautiful. I really, really like it, Katy. Love the colors and the pattern. Great choice on the colour layout. That looks fantastic! This is really lovely. Great Job!!!!! Very very nice!! How will you quilt it? Beautiful layout and the colors are so vibrant. GREAT job! Great choice of layout! I love the way it looks. Yikesies…all those pesky points. Love this, Katy! I really like the way you grouped the colors together…. As always, thanks for sharing! Beautiful quilt top! Love those colors. Love! This makes me happy…the colours, the prints. Great finish. 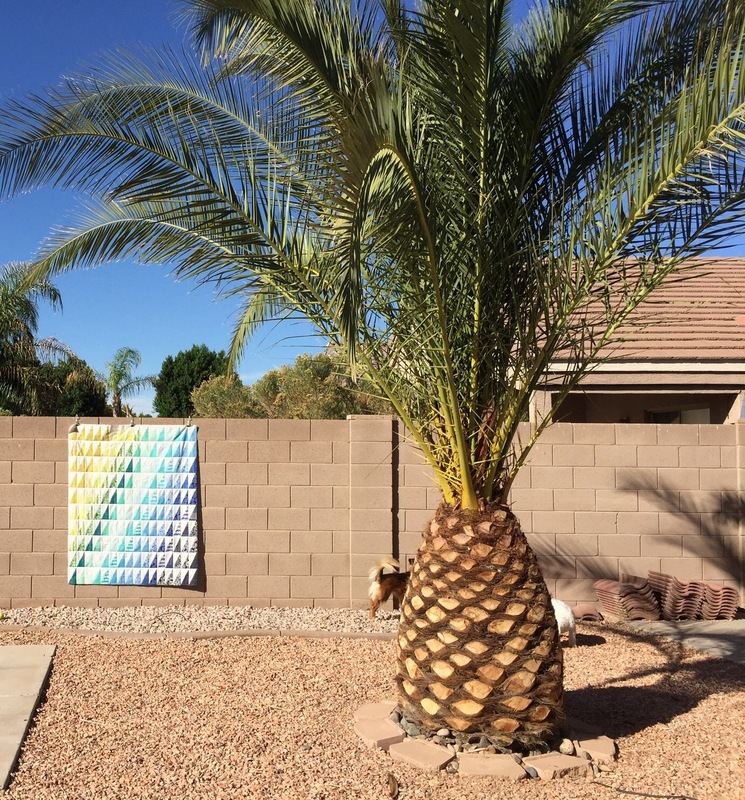 With the tropical-looking tree in the foreground, that quilt exudes an island vibe!